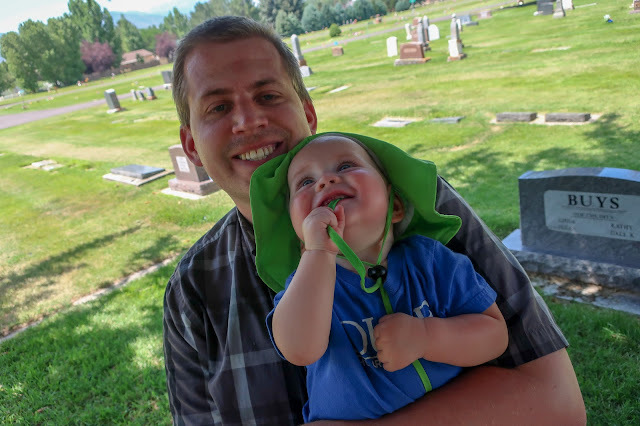 Part of the reason I wanted to be all caught up on our Alberta trip posts was because the last thing we did before coming home was visit with Auntie Emily and her family in Idaho, which would have been the perfect segue into talking about Emily's visit to us here in Utah, right? Unfortunately, I have not yet finished writing about our Canada trip and Emily is already here! 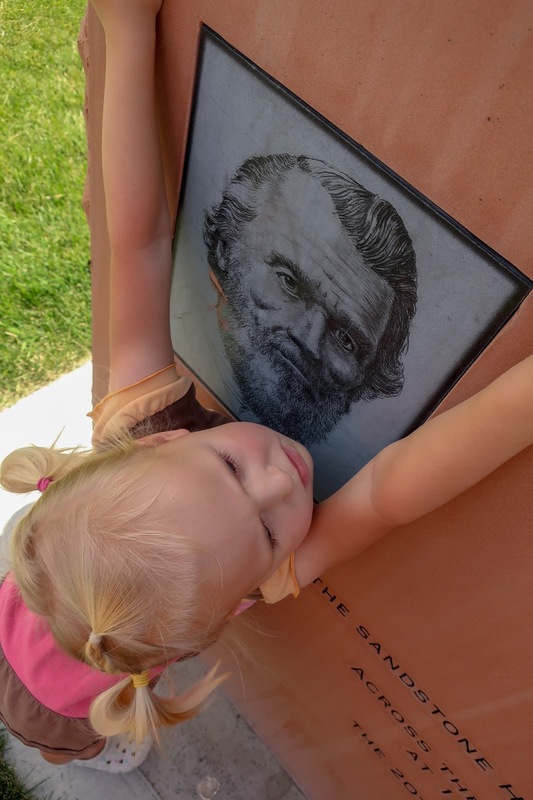 So I wrote about meeting up with her in Idaho and now I'm going to write about Pioneer Day (because I may as well be timely about something in my life). 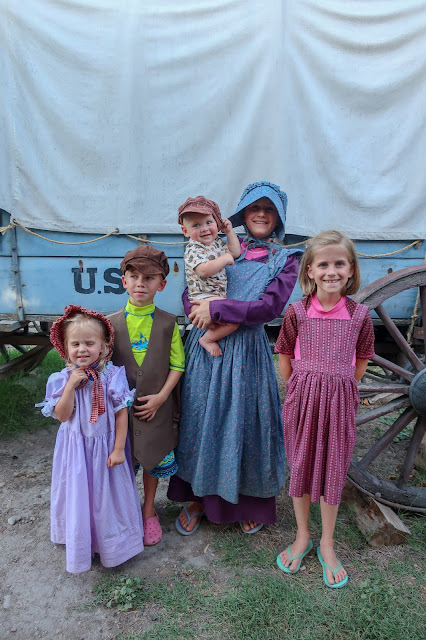 Last night for family night Emily and her kids went with Grandpa to help supervise Sarah's visit with Riley, so we took the kids to Pioneer Village in Provo, specifically to see the Haws' cabin (but also to see the rest of the village, of course). 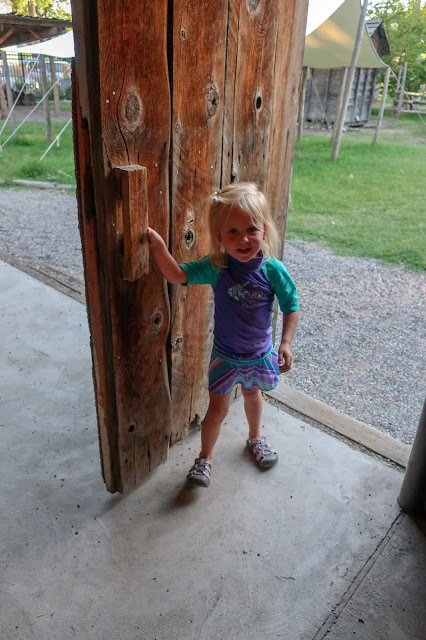 I think the schoolhouse was everyone's favourite place because (although I took no pictures) we got to play with stilts and climbing bears and so forth, which was quite a lot of fun. After we'd finished playing at the school house we went through the rest of the village, trying to find everything on the scavenger hunt paper we'd received at the front gate. Wood doesn't seem like a very good material for building a water main out of, but according to the sign, this was part of the mainline system into Provo City near the turn of the century (I imagine by "turn of the century" they mean around 1900 and not 2000). 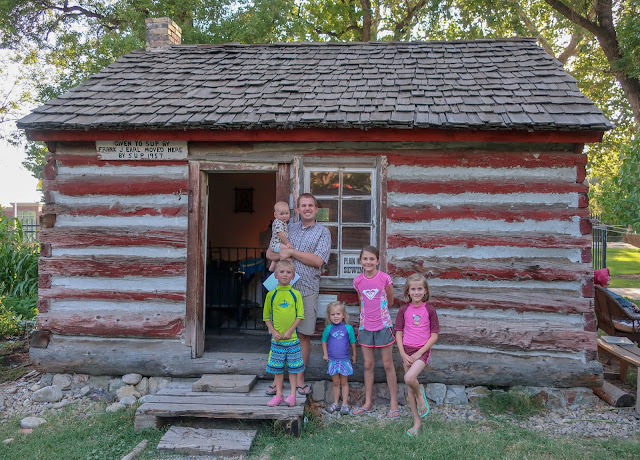 This was the original home of Oliver Haws, who, in 1849, was the second white person born in Provo (this wasn't the home he was born in, but the home he built for his wife). His parents, Gilberth and Hannah Whitcomb Haws were my fourth great-grandparents. Oliver was their fourteenth (and last) child. 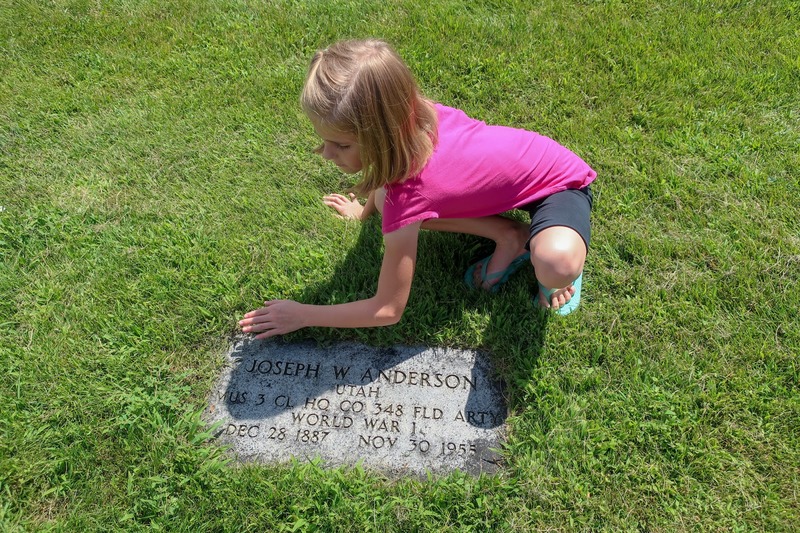 His sister, Lucinda, was my third great-grandmother, and she had gotten married the year before he was born. 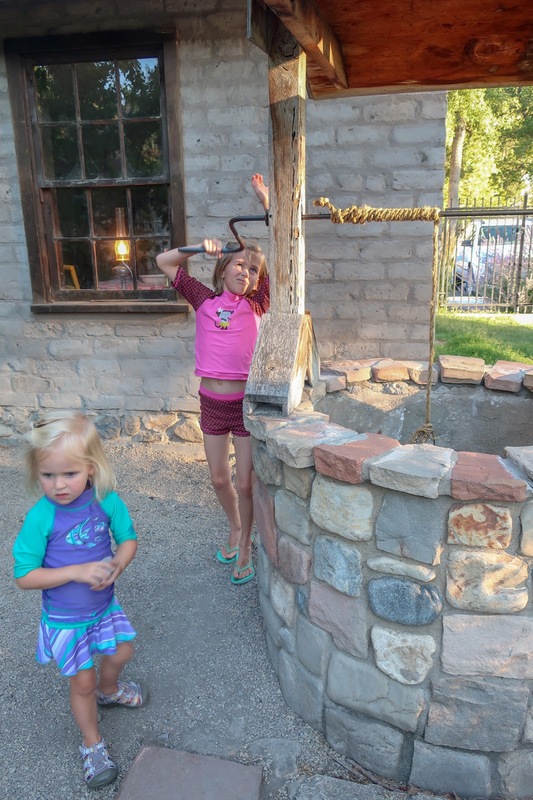 Their house is likely unrecoverable because it was made of adobe brick, which isn't very durable (on account of...it's just mud and although we live in a desert it rains far too much for adobe structures to stick around for hundreds of years). The Haws did "simple home sewing" and made and sold cloth and things like that. Gilberth Haws was born 10 March 1801 in Logan, Butler County, Kentucky, the eighth child of Jacob and Hannah Neil. He was of pioneer stock, his ancestors being among the early settlers of Augusta County, Virginia and Rowan County, North Carolina. Jacob Haws, with his wife and two small sons, left Burke County, North Carolina, before 1800 to make a home in Kentucky. They traveled by horseback with all their belongings going by way of the Wilderness Road, through the Cumberland Gap into Tennessee, entering Kentucky by the way of Nashville. We are told that if several families traveled together in those days, they moved in true patriarchal style. The older boys drove the cattle, which usually headed the caravan, while the younger children were packed in crates of hickory withes and slung across the backs of the old quiet horses or else were seated safely between the great rolls of bedding that were carried in similar fashion. Hannah Whitcomb was born 17 April, 1806 in Cazonovia, Madison County, New York, daughter of Oliver and Olive Bidlack Whitcomb. Her family also were early pioneers of Illinois and here the Haws and Whitcomb families met. Two Haws brothers married two Whitcomb sisters: Benjamin Haws married Polly Whitcomb and Gilberth Haws married Hannah Whitcomb. 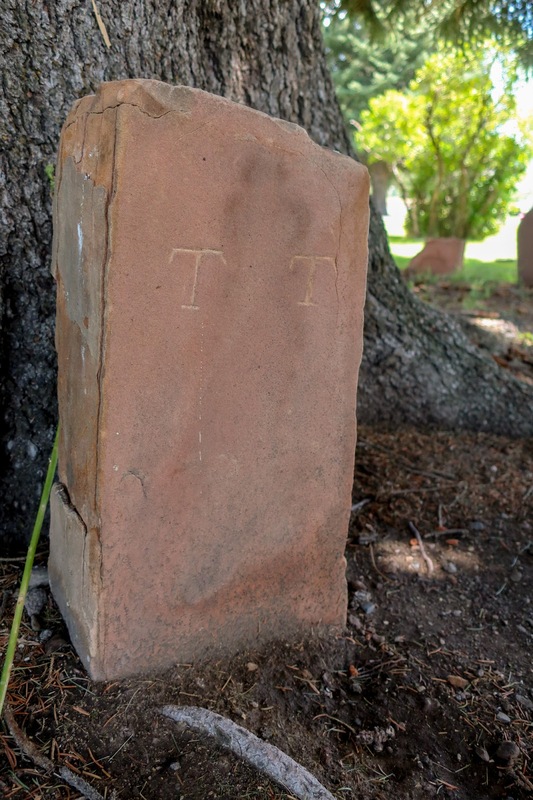 Gilberth Haws and Hannah Whitcomb were married on June 2, 1822. They lived on a farm in the northwestern part of Wayne County, Illinois, where they raised sheep and some cattle. They had 13 children while living on their farm; six girls and seven boys. In the year 1842, Gilberth Haws and Hannah Whitcomb Haws were baptized into the Church of Jesus Christ of Latter-Day Saints by Jefferson Hunt, in Wagneco, Illinois. 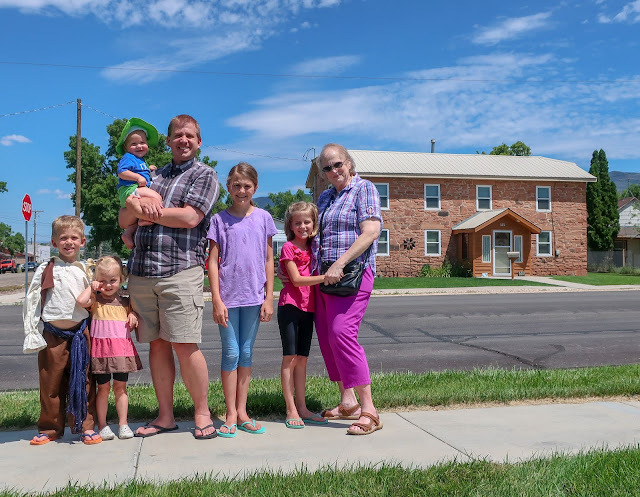 They were never attached to any religious sect until they joined the Mormons. Quoting from Lucinda Haws Holdaway's (their daughter) history, she wrote, "In 1845, Elders came to tell us that the Saints were being mobbed and driven from their homes and that we had better prepare to go West with the company. We remained in Wayne County until May 1847, when my father and family prepared to go West. 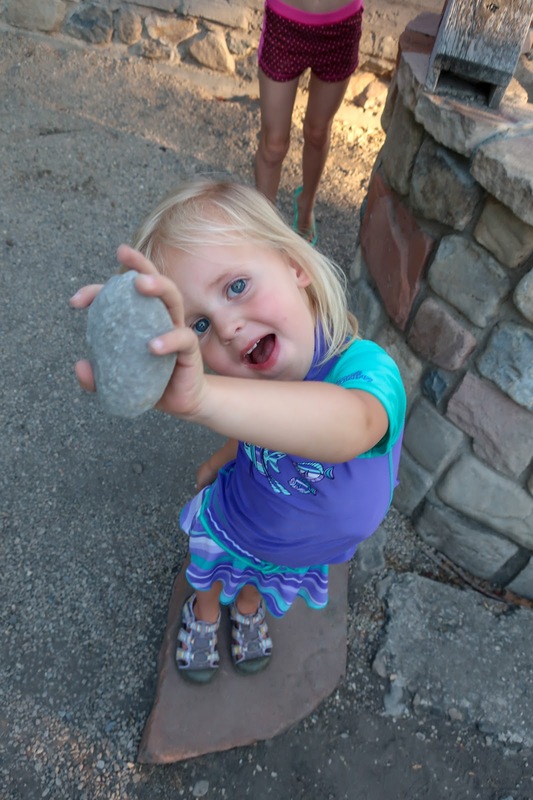 We went as far as Iowa and stopped at a little place called Mount Pisgah for the winter. We remained there until the spring of 1848, then started for Winter Quarters so that we might be ready to go West with the first company." At Winter Quarters, they built a bowery and danced all night with the permission of President Brigham Young. During the month of May 1848, preparations were made for the departure of the main body of the Saints on the Missouri River. President Young was General Superintendent of the companies and Gilberth and Hannah Haws were assigned to the 3rd Company under the supervision of Lorenzo Snow. This company consisted of 321 souls, 99 wagons, 20 horses, 3 mules, 388 oxen, 188 cows, 38 loose cattle, 139 sheep, 25 pigs, 158 chickens, 10 cats, 26 dogs and 2 doves. Gilberth Haws had two wagons, one team of horses and five teams of oxen. Hannah drove the team of horses all the way across the Plains. The family consisted of father, mother, seven sons and six daughters. They arrived in Salt Lake Valley, September 23, 1848. They bought a small adobe house, twelve feet square with two small holes ten inches square for windows, where they stayed during the winter of 1848-49. 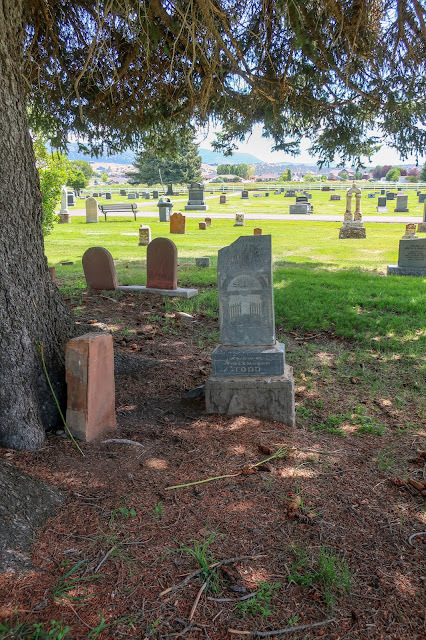 In December 1848, three of their daughters were married to three Mormon Battalion men, who were making their return trip to the East from California, after their discharge. Lucinda married Shadrack Holdaway, Caroline married Walter Barney, and Eliza married George Pickup. In the spring of 1849, Gilberth Haws and family, with Lucinda and her husband, were members of the first company who came to settle Provo, and helped to build the first fort. 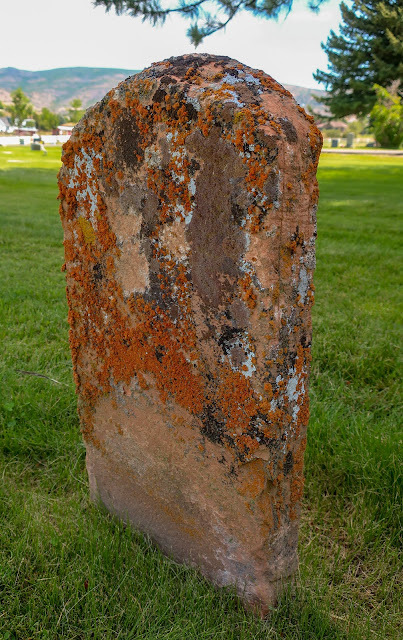 In June 1849, their daughter Matilda died and was buried in a little knoll near the river. 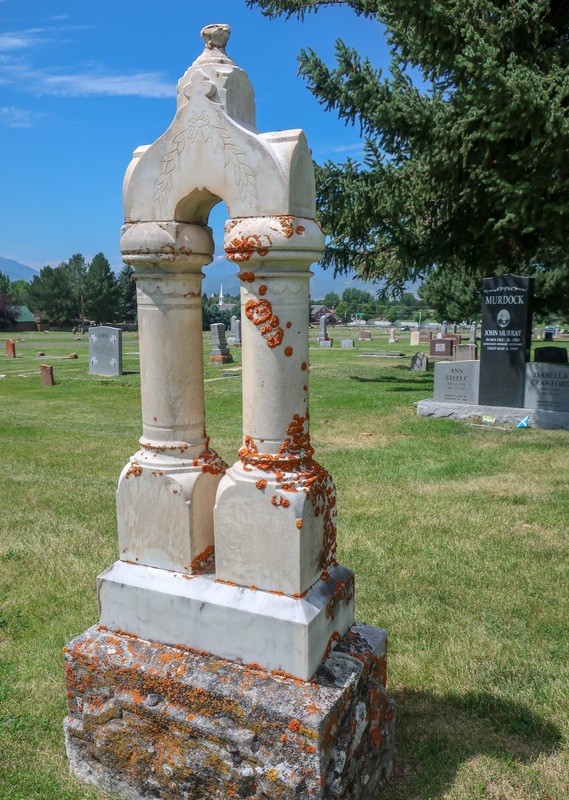 Afterwards she was moved to Provo cemetery. The next important event was the birth of their eighth son, Gilberth Oliver, born October 8, 1849. 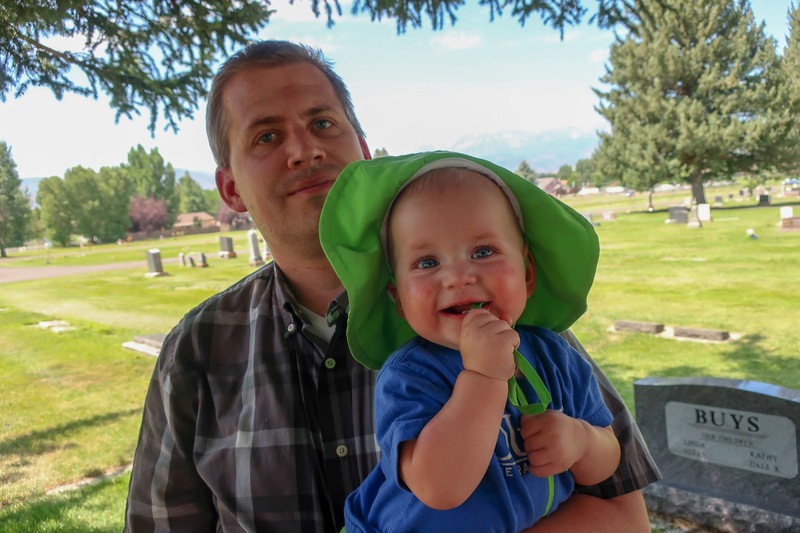 He was the second white child born in Provo, the first being born to the wife of Edward Holden a few days prior to the birth of Hannah's child. There being no doctor or midwife there at that time, Gilberth went to Salt Lake and brought back a midwife by the name of Angel. Mother Angel, as she was called, cared for Mrs. Holden first, and one or two others while in Provo. 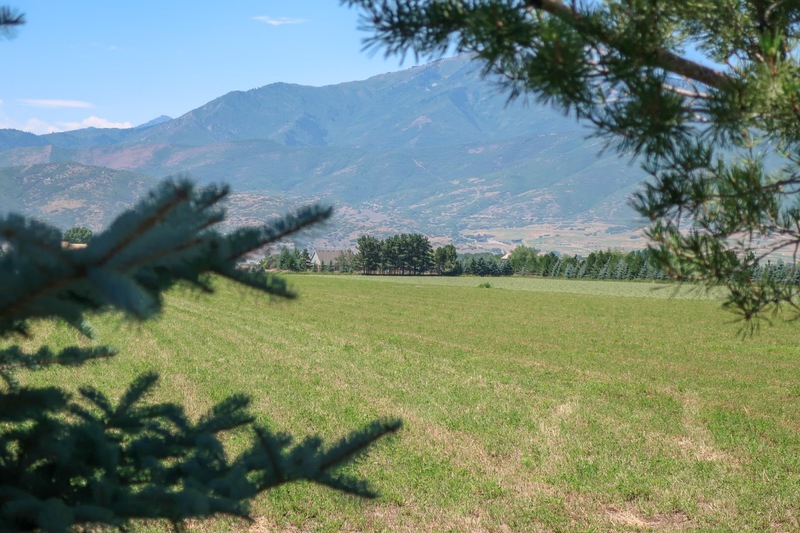 When they started to Provo to make their home in 1849, their daughter Lucinda and her husband traveled east to get machinery for a woolen mill. When they returned, they built their first mill, but on account of Indian troubles, moved into town in 1853 and built the mills there. At first he only made rolls and bats, but later made john for men's wear, and also shawls and blankets. 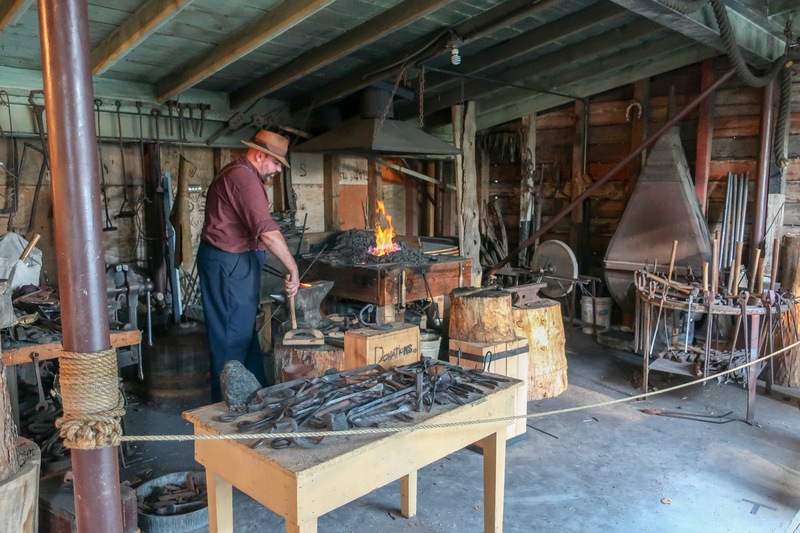 He also had a blacksmith shop and a shop to make chairs and other things. Gilberth Haws and his wife, Hannah, with their 14 sons and daughters, were active members in laying the foundation and in the growth and prosperity of Provo, sharing all the privations and hardships incident to pioneer life at that period in Utah. 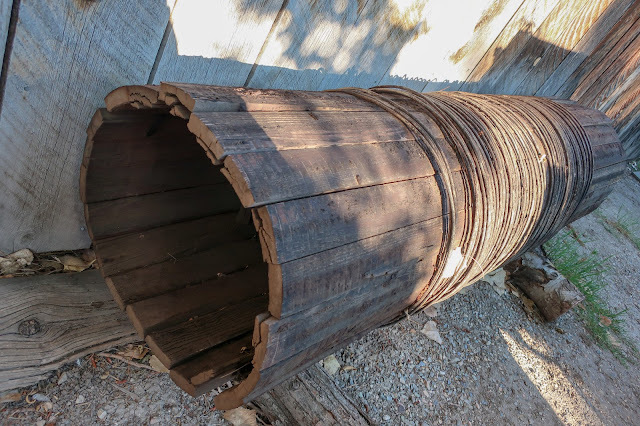 Father and sons cultivated the soil, made roads and ditches, brought timber from the mountain for fuel and building purposes and to make their crude implements for farming, and other necessary articles. They tanned hides, made shoes for the family and labored under the greatest difficulties with the implements in use at that time. The sons were engaged in all the Indian wars and guard duty in the early days - that is, the older ones. Mother and daughters bore their share also, converting the raw material into food and clothing, cooking by a fireplace, and sometimes grinding grains on a coffee mill to make bread; spinning, weaving, knitting, and sewing by hand for the family; and gathering herbs, barks, brush and leaves for coloring yarns and cloth; doing their washing on a wooden board, making soap from wood ashes and grease scraps. Gilberth Haws died on 3 March 1877 and his beloved wife, Hannah, passed away on 21 August 1880. They are both buried in the Provo City Cemetery in Provo, Utah. 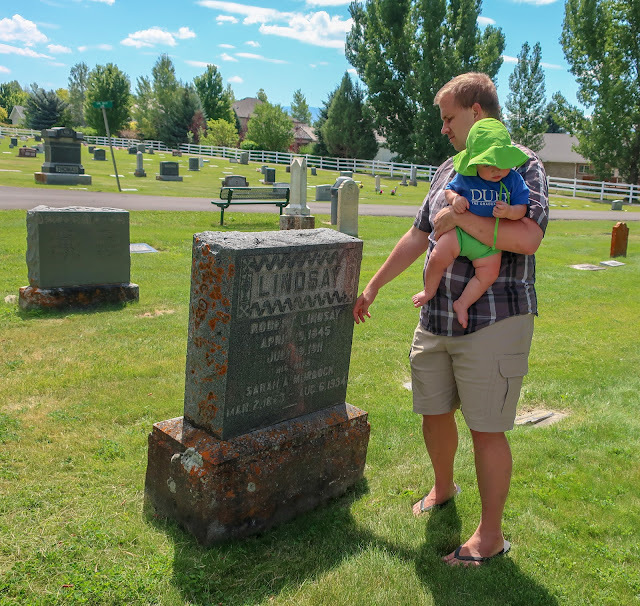 Story found in "Lovin' Memories", a compilation of histories and pictures from the Haws and Wiltbank family lines. It was put together by Carol Bloomfield in 2010. 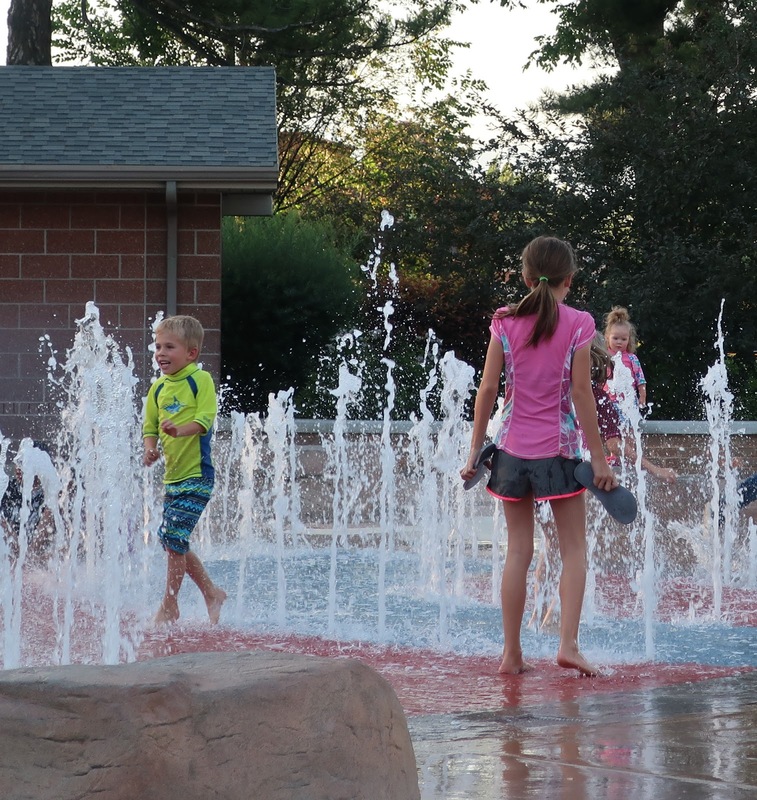 The kids were all in their swimming suits because we stopped by the splash pad at Pioneer Park on our way home. 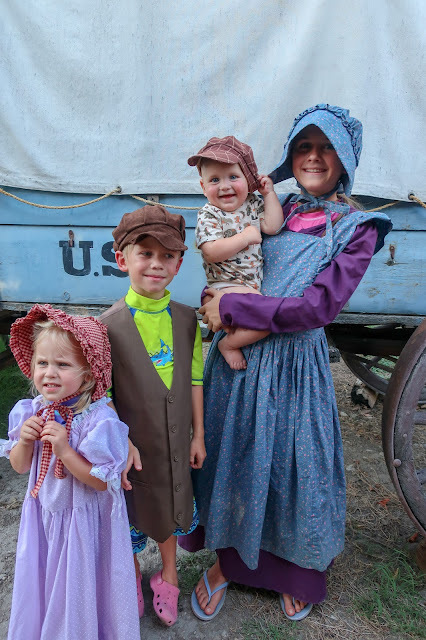 The kids had so much fun pretending to be pioneers that Miriam decided that she'd wear pioneer clothes all day long today and would avoid technology altogether. 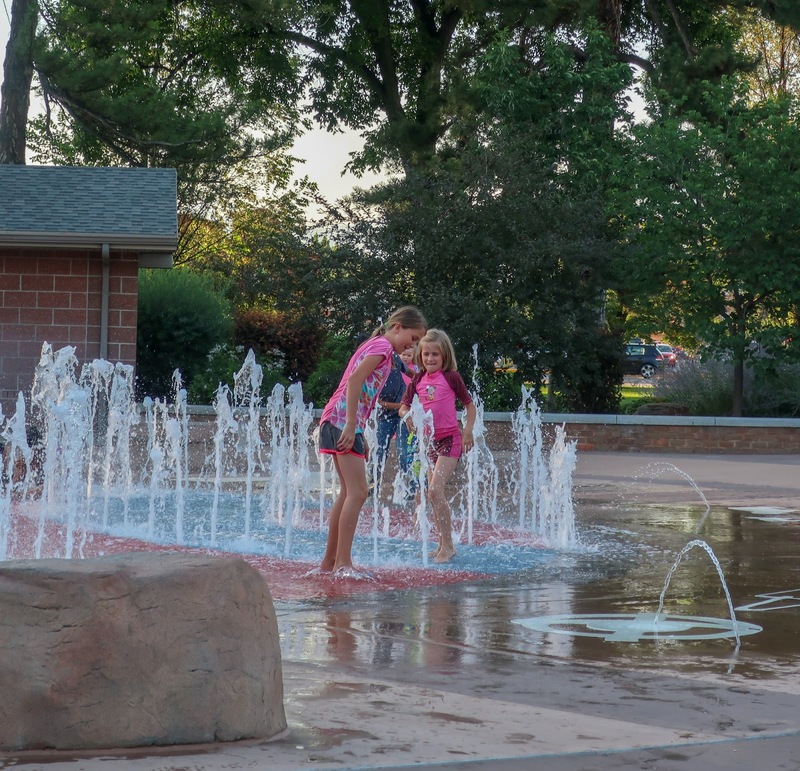 We told her that would be difficult for her to do because we were planning on taking the kids to Heber...and it would take her a long time to walk there. She said she'd just pretend the van was a covered wagon and stubbornly pulled on her pioneer dress, fixed herself a bowl of oatmeal for breakfast (not using technology is hard)* so she could go out weed the garden and harvest tomatoes (like a good pioneer child). Then she came in and put on shorts and a tee-shirt because it's ten billion degrees outside (or 95, same thing). 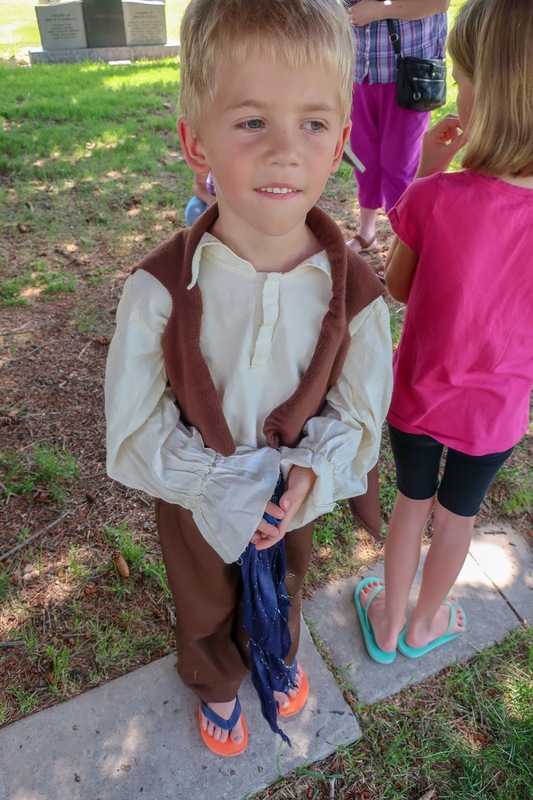 Benjamin, however, insisted on wearing pioneer clothes out and when Miriam warned him that he'd get hot he retorted, "Well, the pioneers got hot!" 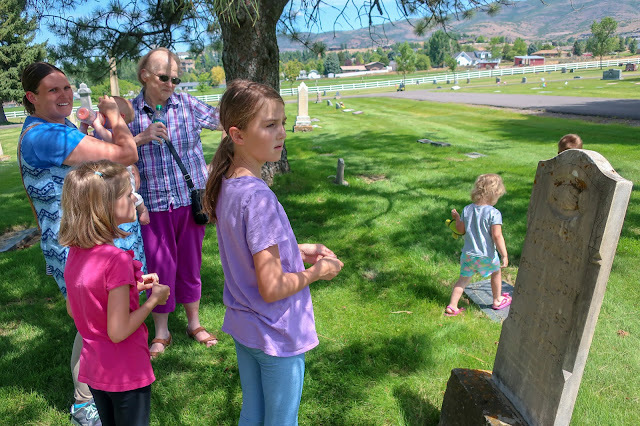 My children have heard a lot of those stories already, so I kind of breezed by them and instead decided to talk about their fifth-great grandmother, Joseph's second wife, Charlotte Eliza Clark. She went by Eliza, which I didn't know when I was looking up stories about her. I found a wonderful story to share with the children until I started thinking about the details and then nothing added up. My story said that Charlotte was seven years old when her family was crossing the plains in 1852. But that's the same year Charlotte married Joseph Stacey Murdock! How could it be so? It couldn't because Charlotte Eliza was born in 1829. A little research revealed that Charlotte Eliza, who was named after her mother, Charlotte, went by Eliza her whole life. Her parents must have regretted not calling her Charlotte, however, because in 1845 when her parents had their last child, a daughter, they named her Charlotte Elizabeth (and she was called Charlotte her whole life). If that's not confusing, I don't know what is! It was two o'clock in the afternoon when the mob came to the Clark home in Nauvoo. Father Clark tried to reason with them but there was no reasoning to be done. The minds of the mobbers were made up and their edict was unyielding – be gone from Nauvoo by eight o’clock the following morning or be tied to a tree and whipped by every man present. 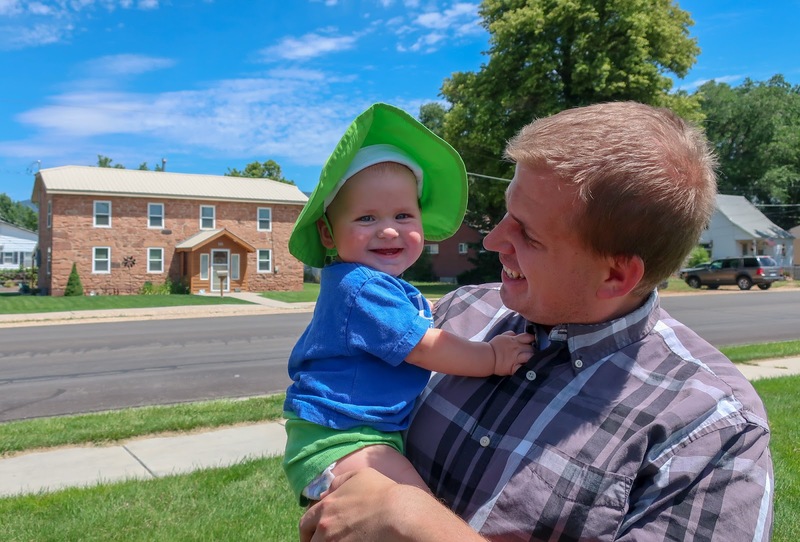 Father Clark, like every other man in Nauvoo, bowed to the inevitable. He and his family spent the ensuing hours in an effort to prepare themselves for what was to come. The bare essentials they prepared to take with them. Everything else was left for the mob. Knowing that no mobber could be trusted to keep his word, even if a few hours had been guaranteed to them. the family hid in the cornfield of a friendly non-Mormon until their preparations were complete. Then, with the help of that same friendly family, they crossed the Mississippi and worked their way to Winter Quarters where the Church had set up a new community for the people. At Winter Quarters, Father Clark was called to fill a mission to the branches of the Church in Iowa and Missouri, Leaving his family to be provided for by John who at that time was 19 years old. The other children were Eleanor 17, Eliza 16, Hannah 13, Thomas Jr. 9, Mary Ann 3 and Charlotte 1. The mission assigned to Father Clark was duly completed but the time had not come for him to return to his family. 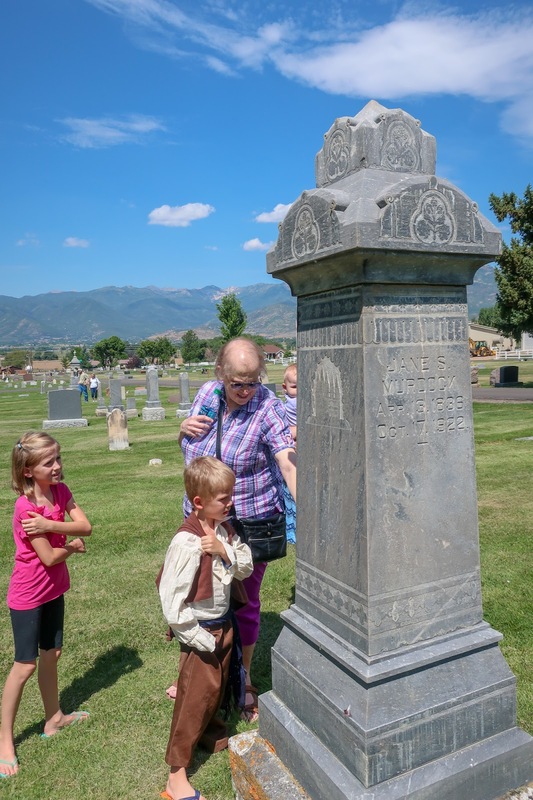 Through the Prophet Brigham Young he was called to go to England and there preach the Gospel. For three years he labored in his native land and upon his release was assigned to bring a company of Saints to Zion. Among them was a young girl, Ann Micklewright, whom he .jokingly said he had brought as a wife for his son John. A short time later John and Ann were married. Upon his return to America the entire family set about the task of preparing for the journey to the Rocky Mountains. All the Saints were advised to secure sturdy wagons and good teams as well as farm tools and household equipment. Since all those things required money and daily labor was the only means of securing it, three more years went by before they were ready. 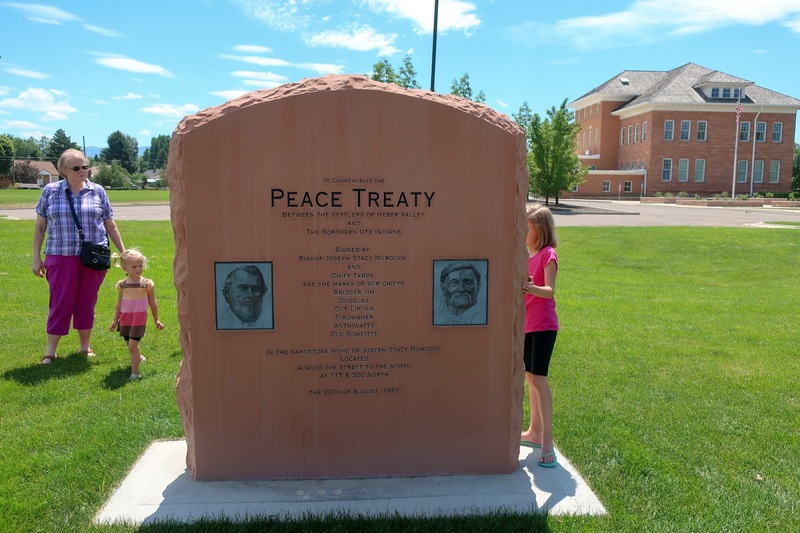 Finally, on July 11, 1852 they began the long trip westward. All the pioneers traveled in companies with captains over hundreds, fifties and tens. Father Clark was appointed as captain over the ten wagons which made up his group. Since their whole objective was to get to their destination as quickly as possible, the journey was a rigorous one. Every morning at five a bugle sounded and everyone arose and joined in family prayer before leaving their wagons. Then the feeding of teams and the eating of breakfast followed and at seven the wagons were rolling. During the day the families walked by their wagons with every man carrying a loaded gun or having one within easy reach. At night the wagons were formed into a circle with the tongues outward. After supper the whole group engaged in singing and story telling and sometimes in dancing until the bugle sounded at 8:00 for the benediction. Afterwards each family returned to its own wagon where family and personal prayers were said and all was quiet by 9 o'clock. The Clark family, at that time consisted of ten souls. In addition to Father and Mother Clark and John and Ann there were the six other children mentioned above. 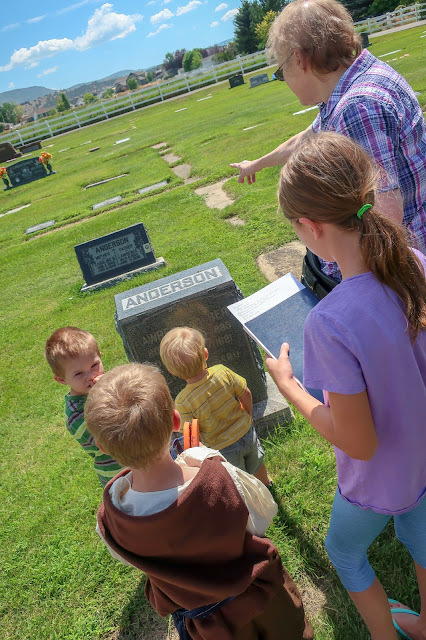 During the journey Cholera struck the wagon train and many died and the Clark family were severely afflicted but due to their great faith none were lost. The ground over which they traveled was interminably rough and since Charlotte, then aged 7, was an unusually active girl and never seemed to tire of exploring every nook and cranny, the day came when her only pair of shoes could no longer be worn. After that it seemed that all the rocks and brambles and all the hot, burning sand combined together to make her tender feet even more tender. Her mother did all she could every night to relieve her condition but it never really helped. Charlotte's solution to her problem was to kneel every night by her blankets and ask God to send her a pair of shoes. The fact that a pair of shoes could not be had in exchange for the most treasured heirloom never occurred to her. She knew only that she needed shoes and that she be1ieved God would send them to her. One day while walking beside the wagon Char1otte and her sister Maryann saw some berry bushes growing along a creek. They were some distance from the trail and while it was an unusual thing for them to do, they asked their mother if they could run to the bushes and pick some berries. It was even more unusual for their mother to consent, due to the ever present danger from Indians, but the thought of fresh fruit for their supper coupled with the girls' eagerness to go, impelled her to give consent. They were instructed, however, to fill their paid as quickly as possible and to hurry back to the wagon as fast as they could run. Once in the bushes the two little girls were eagerly picking berries and laughing over their good fortune when suddenly Charlotte cried out, "Oh, He sent them! He sent them! I knew He would send them if I only asked Him! Mary Ann, come here and look!" When Mary Ann came running she found Charlotte kneeling on the ground, clutching to her bosom a pair of sturdy shoes. Between alternately laughing and crying, Charlotte sat on the ground and pulled on one of the shoes. In her excitement she turned to Mary Ann, "Look, Mary Ann, Heavenly Father knows just my size." She pulled the other shoe on and jumped to her feet. Then she grabbed the nearly empty pail in one hand and her sister's arm in the other. "Come on, Mary Ann. Lets go show them to mother and father!" When the mother saw her two girls running at break neck speed toward the wagons and shouting excitedly with every breath, she feared something terrible had happened. She started toward the girls and when they met, Charlotte’s first words were, "Mother, He sent them to me and they just fit!" She was still puzzled. "Who sent you what, dear?'.. "Did you get your berries so soon?" "No, Mother, not berries, my shoes. See, Heavenly Father sent me the shoes I asked for!" By this time the father, who had been walking on the opposite side of the wagon, came into view. Charlotte ran excited1y to him. "See, father, my shoes! Heavenly Father put them over there by that bush for me and they just fit! Oh, isn't He just wonderful to us?" “Where did you find the shoes, dear?" "Back by those bushes. Mother said that Mary Ann and I could pick some berries and these shoes were under a bush. I know they are mine because they just fit!" A mist began to form in the man's eyes. “Heavenly Father wants you to have a pair of shoes, dear, and so do I, more than you know, but these shoes belong to someone. Someone put them over there by that bush and when he goes back for them they won't be there. We couldn't take someone else's shoes, now could we, dear? That would be stealing." Charlotte was reluctant, but she removed the shoes from her feet and her father tied them to the wagon. The week passed with her hardly taking her eyes or her thoughts from the shoes. Every night in her prayers she asked God to watch her shoes and not let anyone take them. At the end of the week no one had claimed them a1though there were many children in the camp who were barefooted and who would have given almost anything to have them. That night , Father Clark untied the shoes and gave them to Charlotte. Charlotte wore them not only the balance of the journey into the Salt Lake Valley, but for many months after they had established themselves in their new home in the little community of Grantsville. Charlotte lived until 1923. She raised a family of six children under the most trying of pioneer conditions. All of the children heard from her lips, the story of her shoes and her unshakable testimony that God had heard and answered her prayers. There is one phase of the story, however, that Charlotte never know. It came to light only recently when a member of the family sat in a gathering where interesting events of pioneer life were related. He told the story of Charlotte's shoes and before he had finished he noticed that one woman in the group was becoming so excited that she could hardly contain herself. She stood up immediate1y when he had finished and said she believed she knew where the shoes came from that Charlotte had found. She then told of her great grandfather who had crossed the plains that same summer in a wagon train which arrived in Sa1t Lake ahead of the one in which the Clarks traveled. He was a young boy at the time and like all boys was fond of water in its natural state. After walking all day in the hot sun a cool stream was more than he could resist and he would remove his shoes and wander up and down the creek until the wagon train was completely out of sight. His mother emphatically forbid him to do it because of the danger from Indians but he never got to the point where he could resist the temptation. 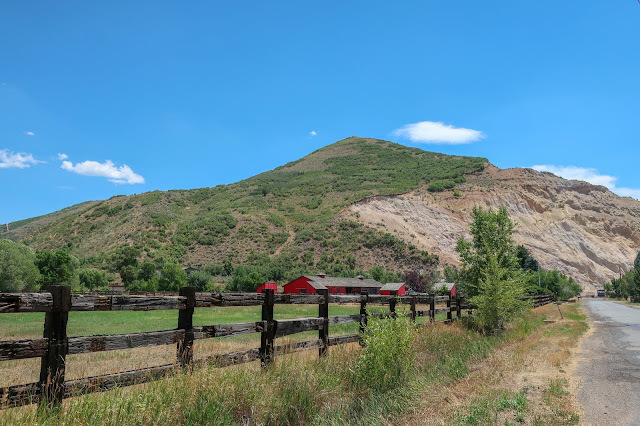 On a particularly hot day he spied some bushes growing along a creek some distance from the trail and when his mother was not looking he ran away from the wagon train and hid behind the bushes. When he was that he was not followed, he removed his shoes and placed them under a bush where he could find them and stepped into the water. The cool liquid felt so good that he wandered up the stream father than he realized. When he finally decided that he must be getting back to the wagons he looked for his shoes but they were not under the bush where he was sure he had put them. He ran frantically to another bush and then to another but soon all the bushes looked alike and he was no longer sure where he had left them. He searched up and down the stream until dark without success. He finally had to go back to the camp barefooted. He was a thoroughly repentant boy after that. He never left the camp again without permission and he never complained that the rest of the .journey had to be made with out shoes. He even accepted the rocks and the brambles and the hot sand as his just punishment for disobedience. In later years he, too, reared a family and he used to tell his children the story of the shoes and he used to conclude the story by warning them that if they would be happy, they would first have to be obedient. See? Wasn't that just the cutest story? As for our (Charlotte) Eliza, her memoirs talk about how poor their family was after immigrating from England. She would sell eggs around Nauvoo (and at the Mansion House) for 3 cents per dozen. Later she went to work for a wealthier family and while under their employ strained her neck trying to lift a barrel of brining pork. She suffered for the rest of her life with tumors on her neck. 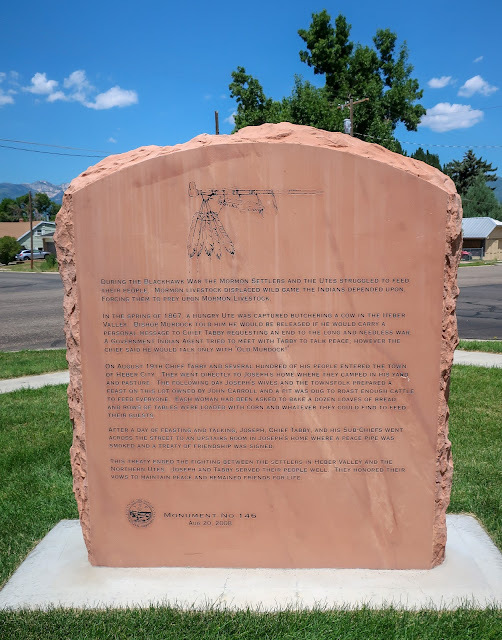 One day of 1867, Chief Tabby came into Provo River Valley after the Indian peace treaty with his dead son in his arms. 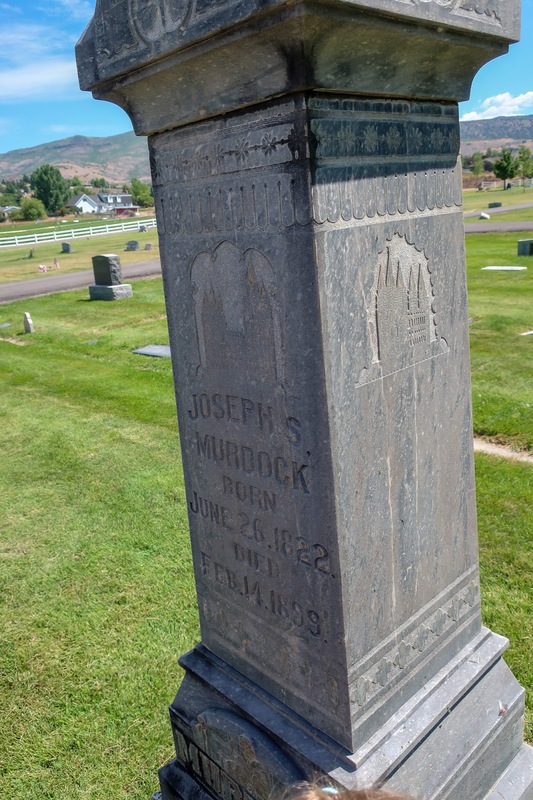 As he rode up on his horse, Joseph Stacy Murdock, the Mormon Presiding Bishop, recognized Chief Tabby. After a brief greeting, Chief Tabby said that he was holding how own dead son, who was killed in an accident while hunting. The chief knew that Joseph was the religious leader among his people, so he asked that Joseph bury his son in the custom of the Mormons. With a feeling of great sorrow for his friend, Joseph conducted a Christian funeral service and buried Tom Tabby under a beautiful pine tree, which had been planted several years before by John H. Murdock in the Heber Cemetery. When the final prayer was said, Chief Tabby said, "My son has been buried in the white man's custom. Now he will be honored in the Indian fashion." A rick of cedar logs was then laid upon the new grave and the boy's favorite pony was led up to it, where it's [sic] throat was cut and the animal was laid upon the pier and the logs were set afire. Joseph had his wives each bake a dozen loaves of bread (so 60 loaves) and they dug a big pit so they could cook up a bunch of cattle all at once to have a huge feast to celebrate the event. 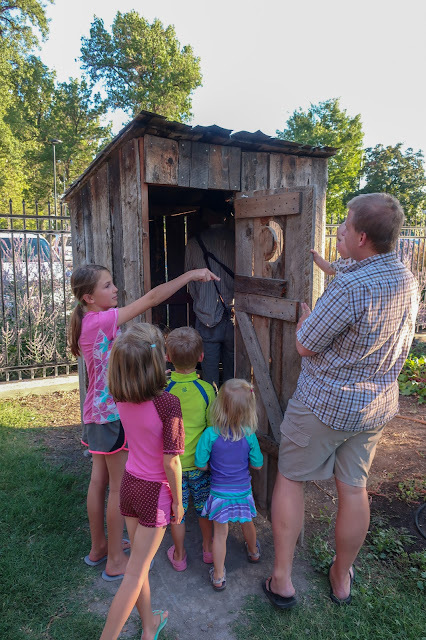 The kids were perplexed that it looks so modern, but I assured them it was the original house...just with a few modifications since it's been continuously lived in since at least the 1860s. It's on the National Register of Historic Places, so though it's owned by a private citizen, they get a tax break for keeping up the property (and putting up with having people stop by to look at their house) and they have to get permission before renovating, and so forth. And that is how we celebrated Pioneer Day! * Actually, I was informed that she was so committed to not using technology this morning that she had Rachel use the microwave for her. Her commitment to her luddite ways has waned considerably since then and she is currently watching a show with Rachel. In her defense, the show is When Calls the Heart, which is kind of a pioneer story (it's a homesteading story at any rate). A whole year already - wow! Benjamin looks cute in his pioneer costume. Looks like a fun day!